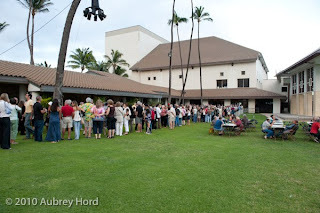 The Maui premiere of the comedy film, "Get a Job" directed by Brian Kohne of Malama Pono Productions and produced by Stefan Schaefer of Cicala Filmworks drew a sold out crowd at the Maui Arts and Cultural Center on Sunday evening November 28 with a line going nearly to the street to get into the theater and laughter abounding throughout the evening. 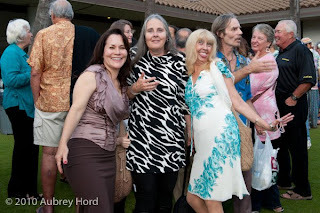 The Maui screening was a benefit for the MACC's Arts and Education Programs and the Maui Food Bank. 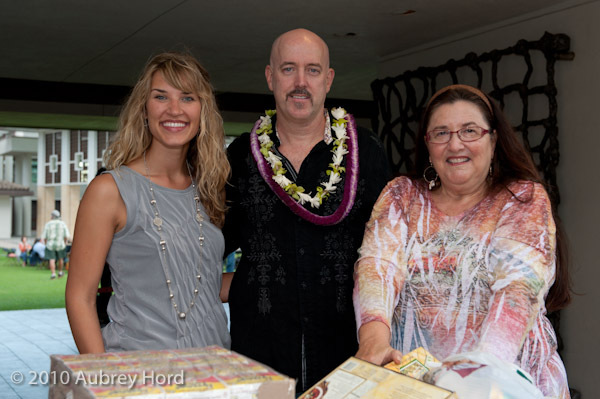 Director Brian Kohne, above, pictured with the Maui Food Bank team, was on hand greeting people at the gates and thanking them for their donation to the food bank. 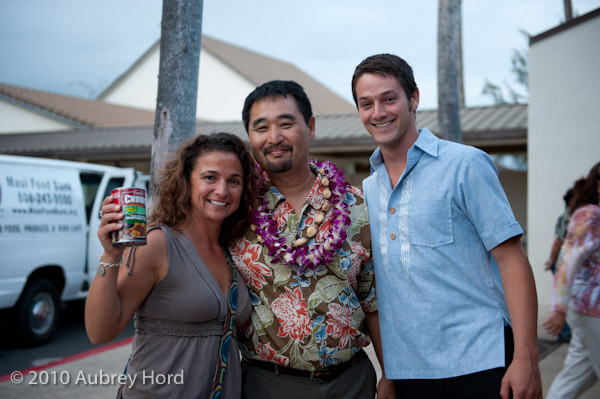 Cast and crew came out to celebrate the premiere and have a mini reunion on Maui. I had the pleasure of being the Still Photographer for the feature film as well as having a cameo role as the wedding photographer in the big wedding scene and in another scene which definitely featured my best asset (HEE HEE! See if you can figure that one one). 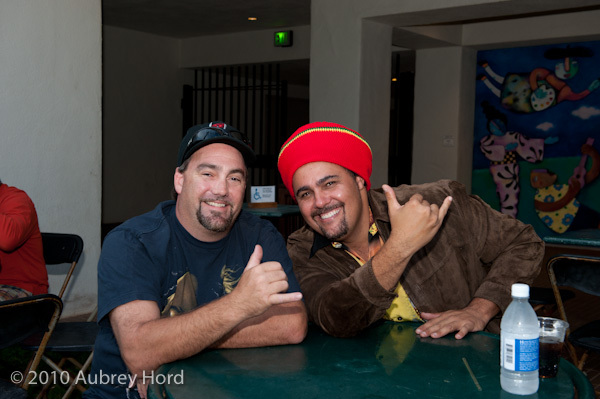 The independent film was made entirely on the island of Maui by a Maui director and producer with the majority of the cast and crew from the islands. 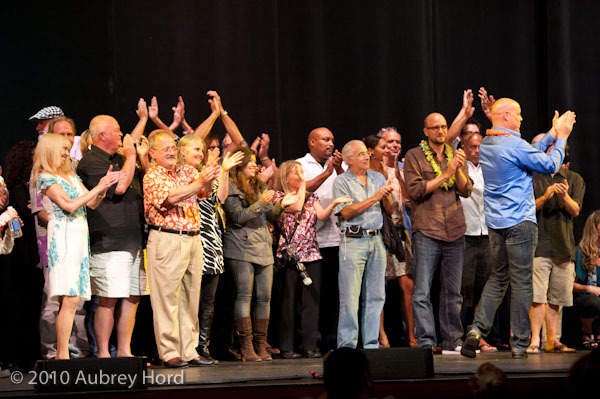 This was an important milestone in Maui's history of filmmaking since it is the first feature film produced entirely by Mauians, drawing on the extensive local talent we have in community theater, staging, production management, video/camera, lighting, sound, art, photographers (YAY!) and beyond... The film even offered internships for local students looking to get into the film making business. The line formed quickly to get into the theater and wound its way all the way to the street. Maui's musical "royalty" came out to see the premiere including musical greats who were also in the film including Eric Gilliom (as lead character Merton in "Get a Job"), Mick Fleetwood, Pat Simmons, Amy Hanaialii Gilliom, Dr. Nat and his band who comprised the fabulous wedding band in the movie. 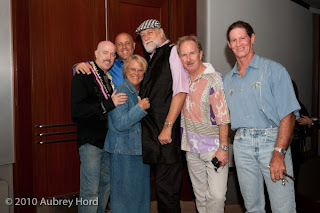 Later in the evening, after the premiere (was officially off duty then to celebrate with the rest of the cast and crew), the wedding band kept the MACC rocking with their musical talents onstage. It was great! The film starred Willie K, Eric Gilliom, Carolyn Omine, Augie T, Marsha Kelly, Kathy Collins, Chelsea Hill, Vinny Linares and featured Henry Kapono, Mick Fleetwood, Willie Nelson, Charles Ka'upu, Jake Shimabukuro, Pat and Chris Simmons, Kealoha, Dr Nat, Amy Hanaialii Gilliom and many many more Maui greats! 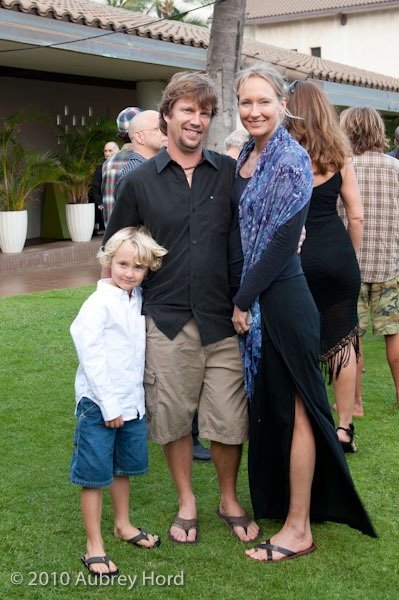 Eric Gilliom with producer Stefan Schaefer above. Part of the cast and crew on stage after the screening (above) and Mick Fleetwood with director, Brian Kohne, Eric Gilliom just before the screening. 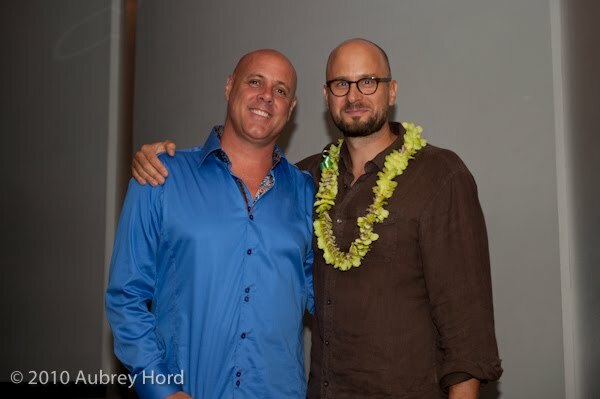 Congratulations to the entire cast and crew of "Get a Job" and to Brian Kohne and Stefan Schaefer for giving me the opportunity of a lifetime as the Still Photographer for the movie as well as the Wedding Photographer role in the film!